Here we will present preliminary findings from the Bridge Creek monitoring effort. To illustrate how monitoring campaigns for active beaver restoration projects can be implemented and what we are learning from such efforts. 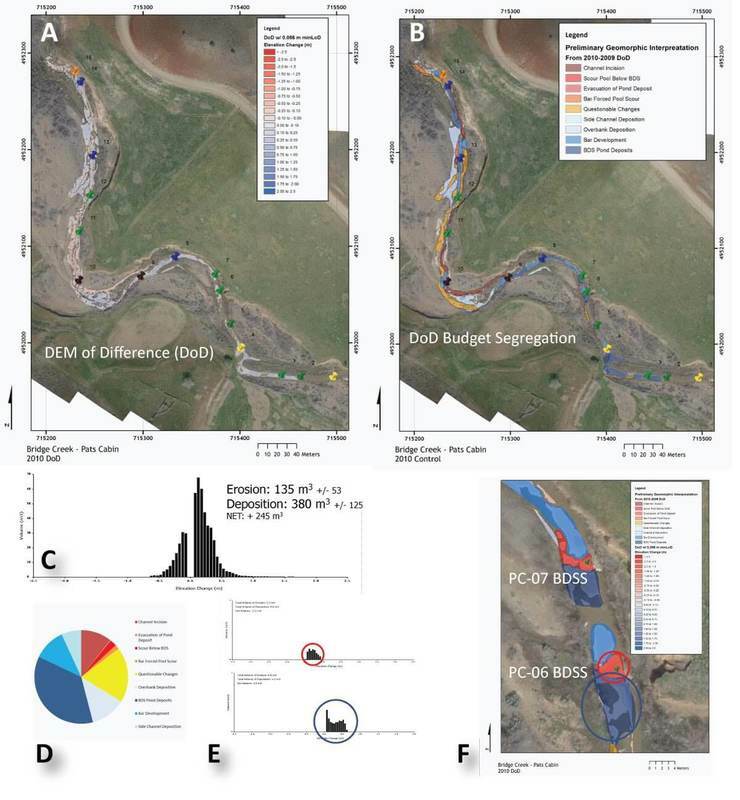 Example of Geomorphic Change Detection Monitoring from Bridge Creek. Demmer R and Beschta RL. 2008. Recent History (1988-2004) of Beaver Dams along Bridge Creek in Central Oregon. Northwest Science. 82(4): 309-318. DOI: 10.3955/0029-344X-82.4.309.